The Zman Amiti Bartending School, which has locations across Israel, offers a two-hour class in Tel Aviv, where participants learn how to pour, mix and shake cocktails. 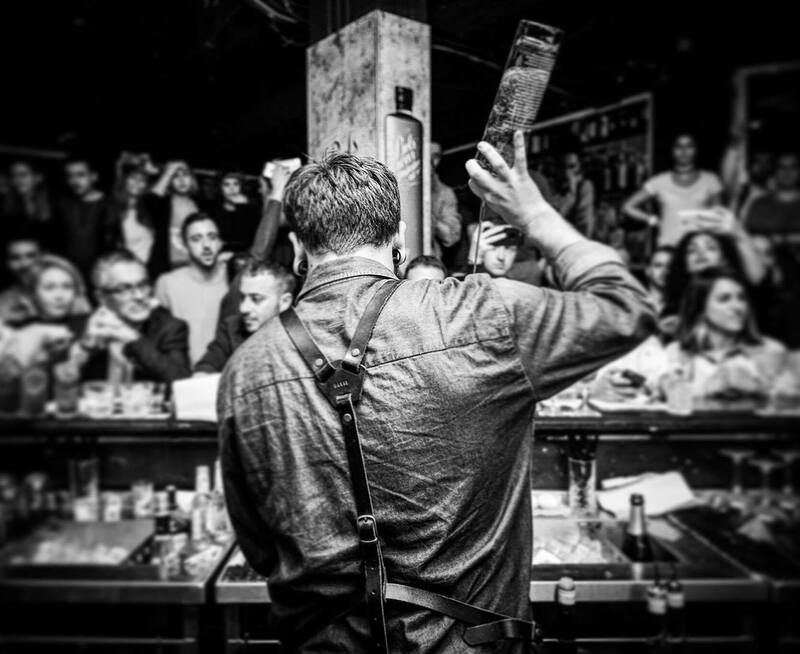 The Zman Amiti Bartending School, which has locations across Israel, offers a two-hour class in Tel Aviv, where participants learn how to pour, mix and shake cocktails. Also included are preparation methods and a tasting session. Private lessons are suitable for groups of at least ten and can be booked for events, birthdays and other celebrations. TLV 2048 is a new physical action game, requiring participants to complete a number of challenges and tasks as an underground rescue team fighting artificial intelligence. These include climbing, crawling and overcoming obstacles in order to accrue the highest number of points. Groups of two to five people are permitted in each one hour game. Protection gear is provided and participants must be at least 14 years old, with a basic level of fitness and no health problems. The Cooking Studio is a complex in Tel Aviv offering a range of cooking and baking workshops, led by a team of professional chefs. Private tailored workshops can be booked in English, allowing up to 30 participants per class to learn about specific cuisine and the chance to prepare, cook and taste a meal. Classes last three hours, are suitable for a range of events and celebrations, with kosher ingredients provided. The Bulthaup Culinary Academy offers a range of cooking classes, led by sous-chefs, in a professional kitchen, located adjacent to the Bulthaup kitchen showroom at the Port of Tel Aviv. Classes are intended to enhance participants’ cooking abilities and offer techniques to implement in their kitchens. Classes are taught in Hebrew, but can be translated into English. Private tailored events, tours and tastings are available. The rage room provides a space where participants can relieve anger or stress by breaking a series of objects, with a tool. The menu of breakable items includes cups, plates, clocks, printers, scanners, telephones and more. Sessions last up to 30 minutes and are suitable for participants of at least 18 years of age.